Inspired: An Improv Blog Impride Workshop! Keep Playing Games With My Heart with Jesse Suphan! Impride Workshop! Keep Playing Games With My Heart with Jesse Suphan! When it comes to musical improv, nothing is more satisfying then when the entire team seamlessly jumps on to an idea and turns it into a show stopping musical experience. But it’s not always that easy. 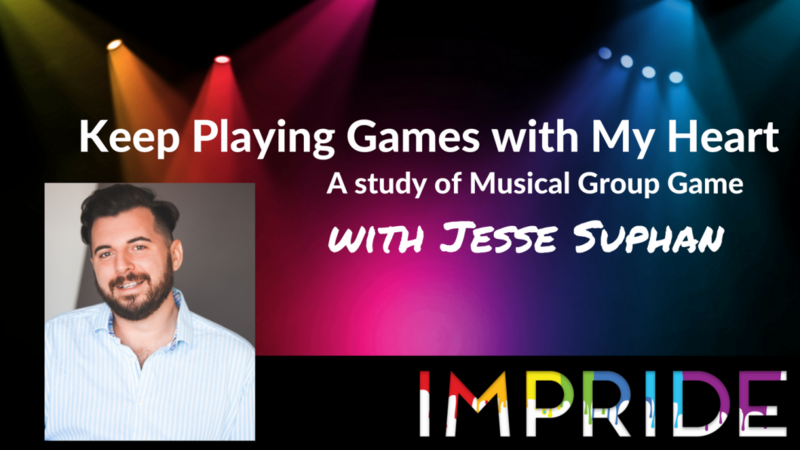 In this workshop, musical improv extraordinaire Jesse Suphan will go over many new and fun musical group games and even help you to create your own! This workshop is for improvisers with musical improv experience. Accompanied by the amazing Stu Shames! Get your game on with Jesse on Saturday, July 7th at 10:00am!